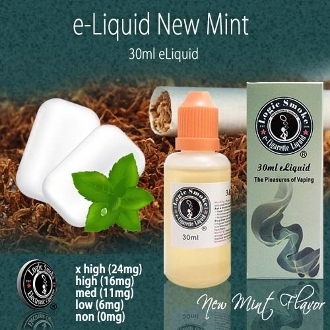 If you are a menthol cigarette smoker, our Logic Smoke New Mint E-liquid is the flavor for you. With a perfect balance of menthol and tobacco flavors, it’ll quickly become your favorite all day vape. With every inhale you’ll fall more and more in love. It is modeled after a popular menthol cigarette that come in a green and white box. Pick up a bottle of New Mint E-liquid From Logic Smoke and satisfy your taste buds.